Collaboration and constructive dialogue between developers, local authorities and communities, facilitated by consultants such as URS, are key to successful planning that fosters growth. Good planning requires real engagement and buy-in from a complex set of stakeholders. But when it comes to delivery, all too often the focus zooms in on the 'how' before the 'why' and 'what' have been fully explored. This can limit growth and successful outcomes. URS recently hosted a breakfast seminar, with parliamentary under-secretary of state for planning Nick Boles MP as keynote speaker. The event explored the industry's most pressing issues in the context of current debate around today's housing needs and upgrading major infrastructure. The nation's well-documented undersupply of housing is viewed by many as an obstacle to economic growth. This year's party conferences all focused on housing, suggesting some cross-party consensus on the need for action. "The urgent requirement for housing has to be addressed," declared John Horgan, group managing director, Europe, Middle East and India at URS, as he opened the seminar. 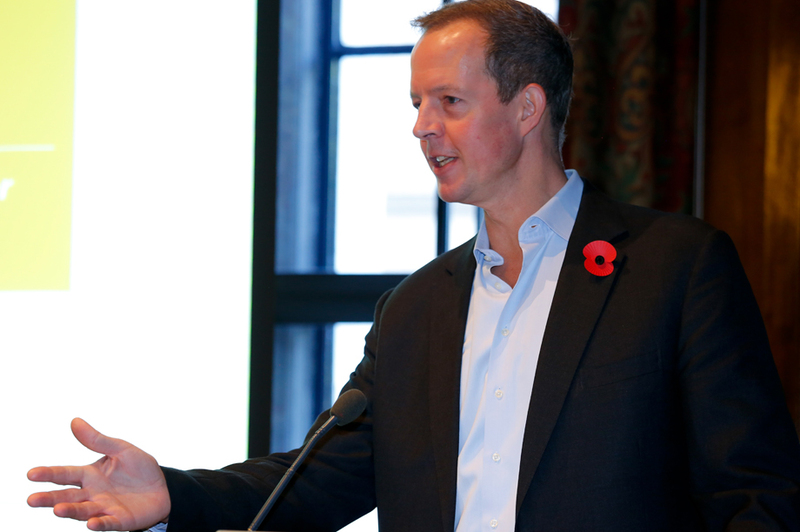 In his keynote speech, Boles spoke of the positive influence of planning on the future shape of the country. But he also explained the restrictions on central government's role. "Our goal is to make it easier for development to happen. We assess the needs of the future in terms of population growth and then provide the money, support and a regulatory framework that encourages growth. This is the way to make new communities happen in a democracy." According to Patrick Clarke, URS director of strategic planning and urban design, London alone would have to develop the equivalent of an Olympic village every three weeks for 20 years to meet current projections of housing need. But Mira Bar-Hillel, planning and property correspondent at the London Evening Standard, questioned whether the capital will get the new homes it needs when "the commercial incentive to build them doesn't exist". The private rented sector holds the key, she advised: "Roll out a red carpet for those prepared to invest in it." Chairing the event, Town and Country Planning Association chief executive Kate Henderson said planners have to make the case for the quality as well as the quantity of new homes: "Once built, housing is extremely complex to alter, so it is essential quality is prioritised right from the outset." Clarke cited the regeneration of the Royal Arsenal and General Gordon Square in Woolwich town centre as examples of how positive planning can transform places and create a better quality of life. Land Securities' London development director Emma Cariaga agreed that the industry "should be confident in its ability to design beautiful places that provide homes in an appropriate setting". New garden cities offer one way forward. Boles observed: "Very substantial new communities are going up according to garden city principles where government is playing a major role in financing and development frameworks. More is happening than industry gives itself credit for. As a government, we have to make sure people go through a process that leads to good design without imposing our values." URS's engagement with landowners and housebuilders shows a great deal of support for the garden city approach. "Too often new neighbourhoods are built that look poor but also fail the functional test," said Clarke. "Roads and parking take up almost half of the development area, homes have pocket-sized gardens, and then we have to install expensive sustainable drainage systems to make them work. The garden city approach turns this on its head by organising streets, homes and gardens much more efficiently to achieve a comparable density while providing residents with more spacious gardens and tree-lined streets." "Garden cities are not about walking away from the urban renaissance agenda," Clarke insisted. "We now have a great opportunity to bring together the best elements from both approaches to create a wider choice of places where people will want to live." This view was reinforced earlier this month with Lord Wolfson's decision to devote his £250,000 Economics Prize in 2014 to the subject of garden cities. Investment in infrastructure is a critical factor in helping to unlock economic growth. URS delivers planning services and consultancy for many of the UK's major infrastructure projects, including the Bank tube station capacity upgrade and Thames Tideway Tunnel in London. But large-scale economic benefits are not limited to major urban projects. Boles noted that early provision of facilities such as schools, employment and landscaping is essential in creating well-balanced, successful communities. However, the government has no plans for major reform of financial instruments for infrastructure delivery at present. "Once local authorities have their Community Infrastructure Levy charging schedules in place, we'll know whether we have gone far enough in securing infrastructure investment," Boles said. How are the processes and levers for delivering growth and infrastructure stacking up? Boles had no doubt about planning's essential role. "Planning at the local level is where we have the most effect on the world our children and grandchildren will grow up in," he told the URS seminar. Neighbourhood planning clearly is one key to better partnership working (see panel below). The simplified planning regime ushered in by the National Planning Policy Framework (NPPF) is another. "The NPPF has finally articulated a national plan and championed economic growth, job creation and much needed housing," agreed Cariaga. "There is definitely a change in the mood and mindset of local authorities and a more proactive stance in London." Above all, perhaps, much depends on the future direction of the localism agenda. The demise of regional planning has left a void. Cariaga backed more powers and resources for local enterprise partnerships (LEPs) to take major decisions in areas "where localism is perhaps too local". But Henderson warned that LEPs would need a "very strong democratic mandate" to take on planning powers. Boles made it clear that the ball is in the court of local authorities in shaping development of their areas. "If a local authority has a plan in place with a robust five-year housing land supply, it makes the decisions," he stressed, saying it's for communities to decide how they are going to meet their needs. Horgan said communities must avoid the trap of the wrong kind of localism. "If you ask them how their neighbourhood should be in 20 years' time, they often say 'leave it as it is'. That is impossible. Good localism is about what is possible and what we need in the long term," he concluded. URS recognises that well-planned neighbourhoods and strong communities are crucial to sustainability. "Neighbourhood planning is democratic planning. It helps local people deal with change and development," head of neighbourhood planning and engagement Stuart Woodin told the seminar. Woodin's prescriptions for good practice in this field are being brought to bear in his team's work in White City, west London. Reflecting concerns that key players are not represented on many neighbourhood forums, URS's starting point has been to build support for the process from all the parties with a stake in the area - landowners, developers, residents, businesses, the local authority and service providers. URS has made a concerted drive to bring people together to establish good communication and knowledge-share channels. Underlining the importance of advice and training for participants, the company has been supporting the community in analysing White City's local identity. Focusing on delivery from the start, the neighbourhood planning exercise has homed in on the various parties' aspirations and how these relate to the council's emerging local plan. This approach fits in with ministers' calls for local plans to take a strategic approach, with the details filled in by neighbourhood plans. "Neighbourhood planning groups have a fraction of the resources available to local authorities. I hope neighbourhood plans don't stall due to a lack of cash or advice," Woodin said.